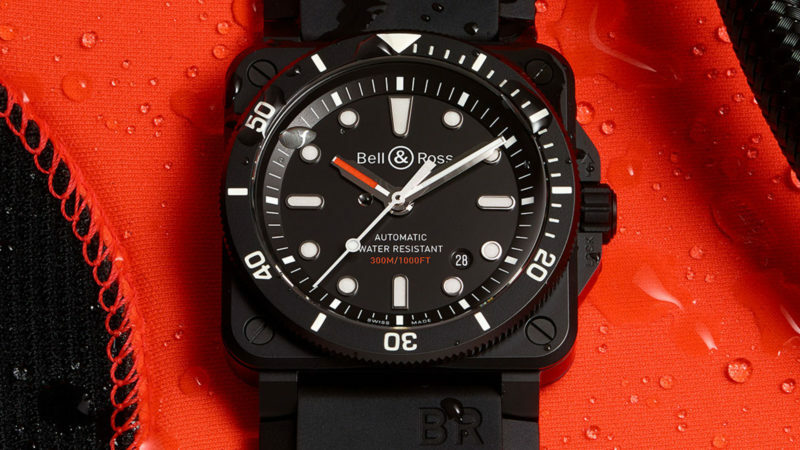 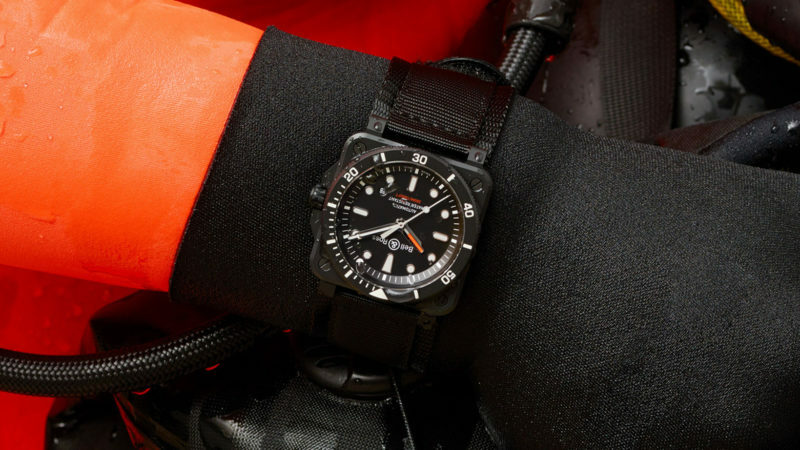 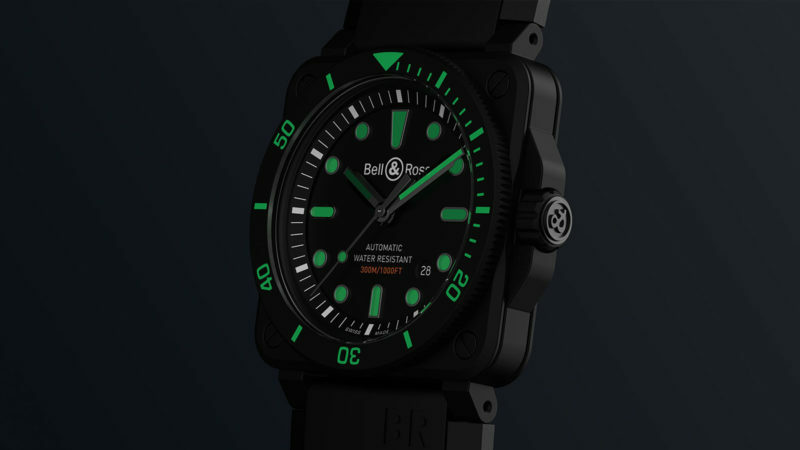 As outstanding in the open water as it is during a night on the town with a bomber jacket, the BR 03-92 Diver Black Matte from Bell & Ross stresses both functionality and aesthetics. 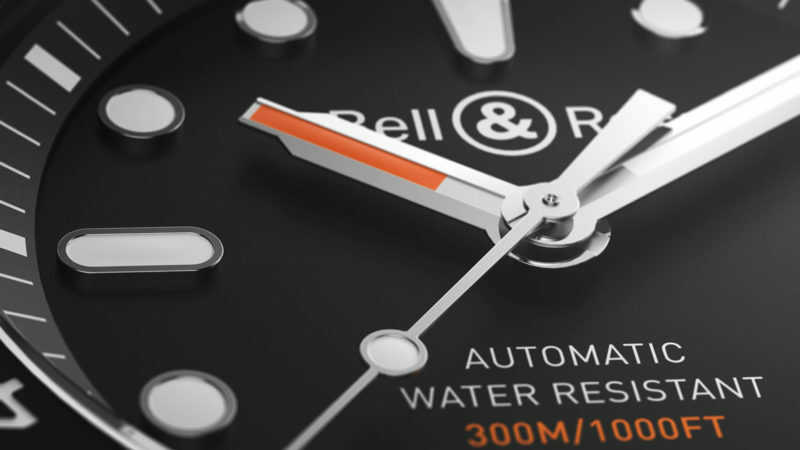 Much like the overall Bell & Ross design philosophy, the matte black finish on the striking 42mm ceramic case is designed to reflect the finishing used on aircraft instrument panels. 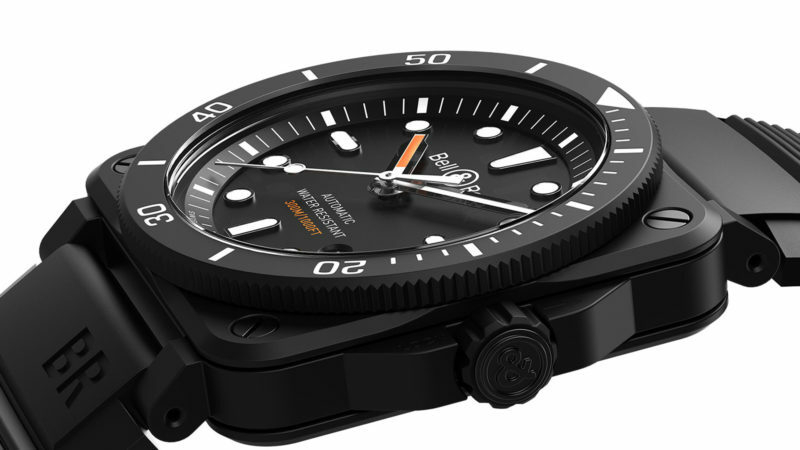 And make no mistake; this is a full-blown automatic dive watch with 300 meters of water resistance, anti-reflective-coated sapphire crystal, Super-LumiNova numerals and indices, and unidirectional dive bezel. 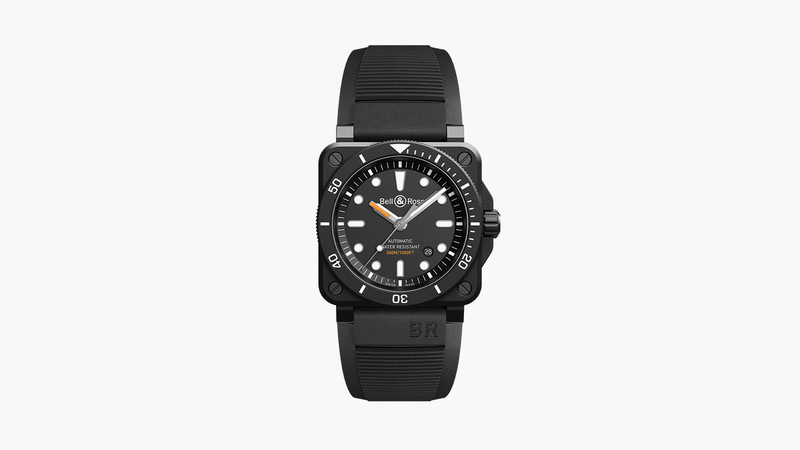 The watch comes with woven black rubber strap and ultra-resilient black synthetic fabric strap.